The Cloud of Things combines two of today’s technology megatrends: cloud computing and the Internet of Things (IoT). 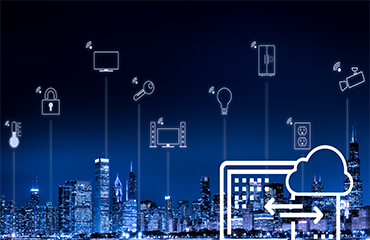 It unifies the breadth and reaches of IoT with the vast compute and storage capabilities of the cloud. Extending the reach of the internet to devices and sensors opens new product categories, automates processes and increases visibility. It also creates unprecedented volumes of data: temperature and pressure readings, velocity and location metrics, timed status updates and event logs. It’s a torrent of machine data in a rich variety of formats both structured and unstructured. This information has value if it can be interpreted; but often that value has a half-life. There’s no point taking preventative action after the fact. Streaming data demands real-time analysis. Enter the elastic compute and storage capabilities of the cloud. Where else should this data go but to the scaleout capacities of private and public cloud providers such as AWS and Microsoft Azure? If all the data from an IoT network can be consolidated and stored in one place, then it can be analyzed and timely action taken. That’s the Cloud of Things in a nutshell. The concept of a ‘Cloud of Things’ was first introduced by Department of Mechanical Engineering Professor Sanjay Sarma, the research director of the Auto-ID Labs at MIT in October 2012. This is the same team that coined the phrase ‘Internet of Things’ in the first place. So while Cloud of Things is only now gaining traction, the idea has been around for five years. The concept is relatively straightforward: combine all the data from the distributed network of IoT devices, analyze it and take action. The reality is far more complex of course. For one, there are no standards for IoT sensor data. For example, data time-stamps might differ in format and granularity. Data schemas vary by manufacturer, device and even age presenting challenges establishing a common format. Equally, the depth of information can be mismatched. An engine cylinder might collect temperature data every millisecond down to the tenth of a degree, but that’s not typically necessary for room temperature on a factory floor. The various data streams need to be combined and over-layed so correlations can be analyzed. Data transformation is nothing new but it has historically been done in batch processes rather than real-time. So there’s a ‘data munging’ challenge to address variety. Next, IoT data is streaming data—fast moving, active, in-flight communication about the device’s status. Once we have all the data properly sequenced and built out, the Cloud of Things platform needs to analyze it in real-time. Most use cases here are looking at anomaly detection: unexpected events outside the norm. Back in our engine, this could be a temperature spike that indicates wear. Equally it could be fraud detection in lines of credit card transactions or intrusion detection behaviors among machine logs. Analytics systems have traditionally been batch-oriented as well, producing the weekly sales reports by market, correlating trend data and so forth. Today’s Cloud of Things analytics need to be real-time, often including complex machine or deep learning regressions. Lastly the data is big. Not just the big data associated with data lakes stored in Hadoop, but datasets comprising hundreds of billions of rows. The human brain actually struggles to conceive the magnitude of these exponential increases in data size, in the same way the vastness of space is hard to rationalize. Suffice to say, it’s big enough to be a problem for many systems that the underlying compute infrastructure is moving to GPUs to take advantage of their massively parallel processing. These pricey servers are offered by the hour by many cloud providers. So the challenge with Cloud of Things is that the data is varied, streaming and vast. But assuming the analytics system can handle that, it also needs an automated, real-time response. This means the Cloud of Things analytics platform needs intelligent automation so it can recognize what to do and take appropriate action. 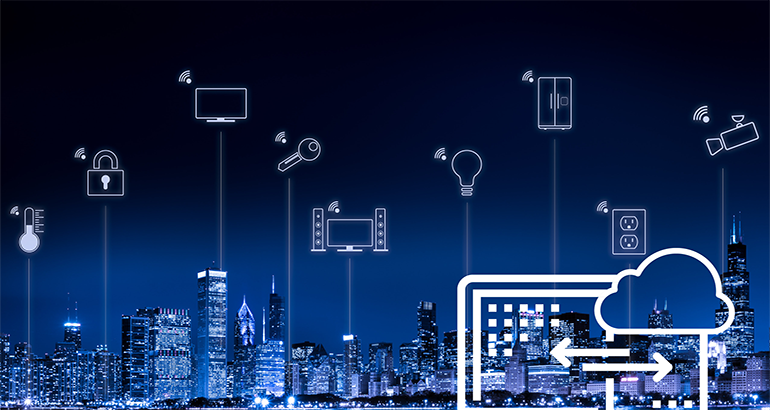 IoT has created the sensor network and reach. The cloud offers the storage and computes capacity to handle the volume of input. Over the next few weeks, we’ll be looking at how Cloud of Things analytics provides the insight and action to harness that potential and provide true value to business operations. Would you like to learn more about Cloud of Things? 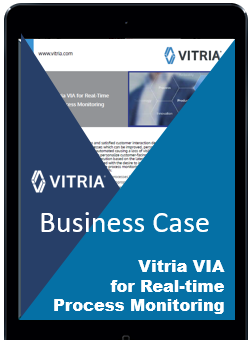 Download Our White Paper!